Follow the visit of one of our trustees, Hirsh, to Nepal as he works to introduce our Quality Education Project to schools in Nepal. He also took some time to visit India to follow-up on work done last year on the India Quality Education Improvement Project by another of our trustees, Ruth. A disastrous start to my India/Nepal trip as I missed my connecting flight in Delhi yesterday due to some flight delays. Very much hoping that isn’t an omen for the rest of my trip but things get better as I nab an early morning flight and arrive in Kalimpong just in time to reacquaint myself with a number of familiar faces in the form of Headteachers from our partner schools. They had been attending a course on phonics run by our long time partner and teacher mentor, Nico Bashford. The course was being run as a precursor to running a whole series of workshops to take in every teacher in our 15 schools. I have known the Heads for years now, and many of us are old friends. Mostly unchanged faces since my last visit in October 2015, but some additions to the ground too. 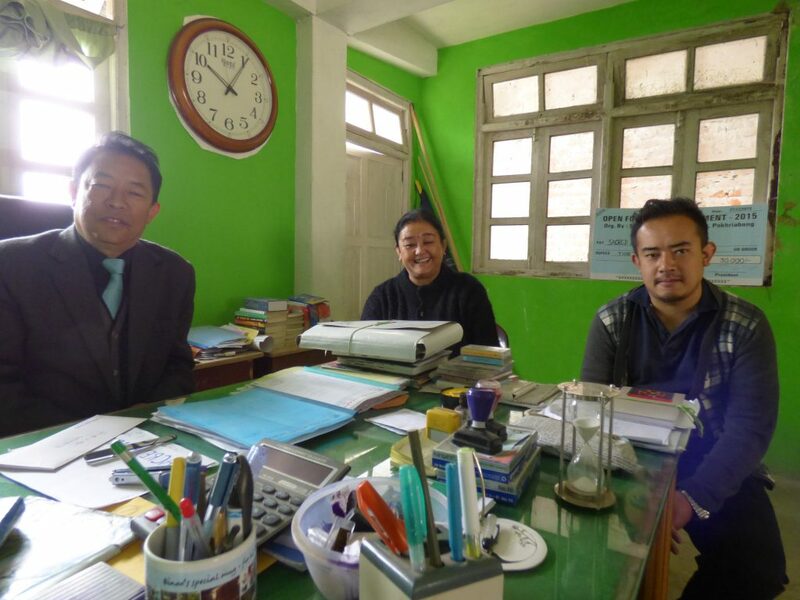 Binod and Jyoti of Sacred Heart sent their son who is “learning the business”, and Sunil of Lotus has brought in a new Head to help the school progress. 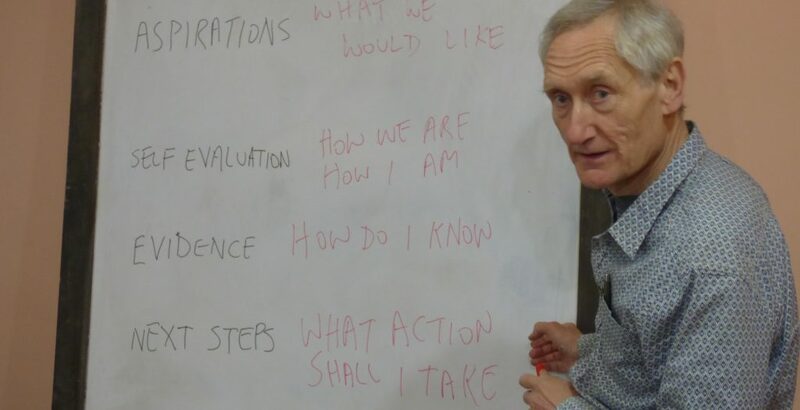 We spent an hour discussing with the Heads why we had introduced this new methodology – importantly, they all understood that it was for their benefit. The Project aims to ensure that they have a structured way of focusing on the important things to improve and to be able to promote the school with pride. They all seemed convinced and positive about using it. I think the changes we have made recently to the method will be good improvements. During the course of the next week or so, I visited all 15 Mondo Indian schools and spoke to each of the Heads individually about their school’s status and key needs. Lots of help wanted as always but good progress in most of the schools though a couple, I fear, are not in good shape and may need more help than we can provide. Went through the self evaluation based methodology with each of them and felt sure that many of the Heads really are starting to see the benefits. Impressed by the engagement and heartened for my upcoming trip to Nepal.